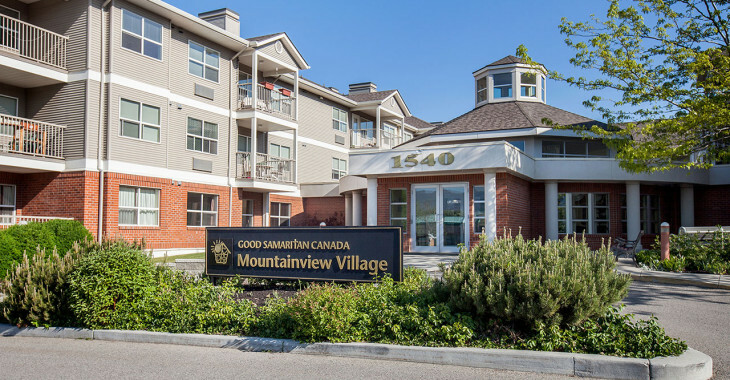 Good Samaritan Mountainview Village is located in a semi-rural orchard area that offers many spectacular mountain views. 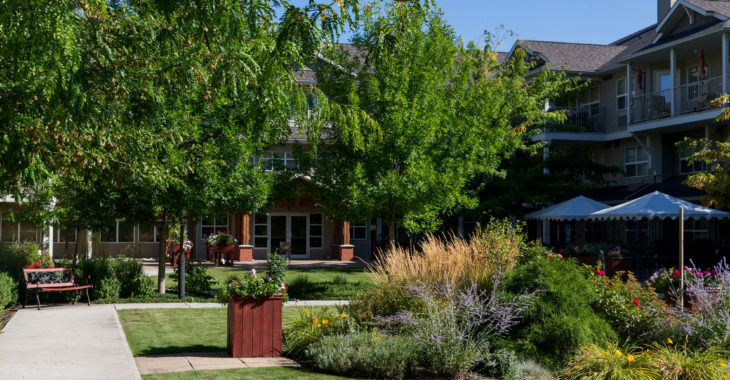 Shopping, entertainment, bus service, the Okanagan Lake and many parks are located just minutes away. 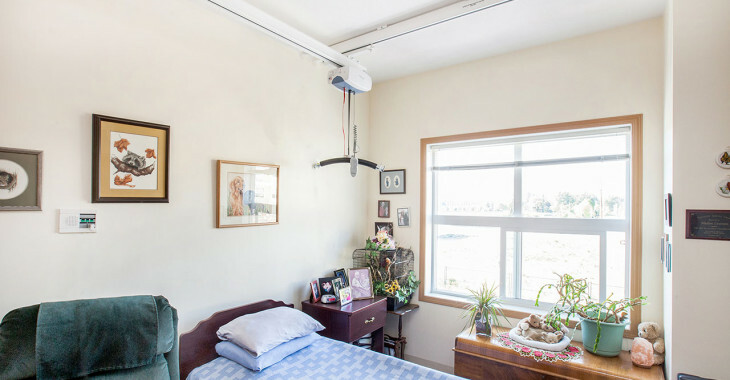 There are a total of 89 one-bedroom assisted living suites that have been designed for people who qualify for housing and health care assistance according to specific requirements set out by Interior Health Authority (IHA), BC Housing and The Good Samaritan Society. 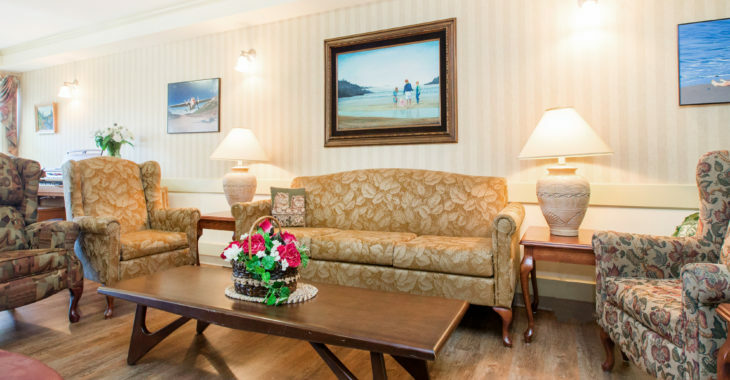 Admission to the Assisted Living program is coordinated through IHA 250-980-1400. 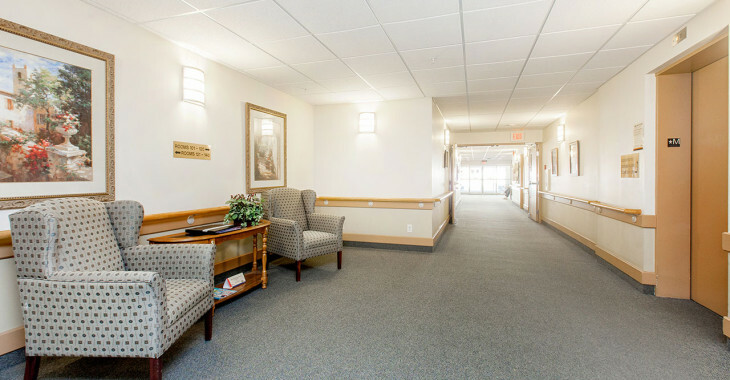 There are 90 residential care suites in phase three of Good Samaritan Mountainview Village that have been divided into two floors. 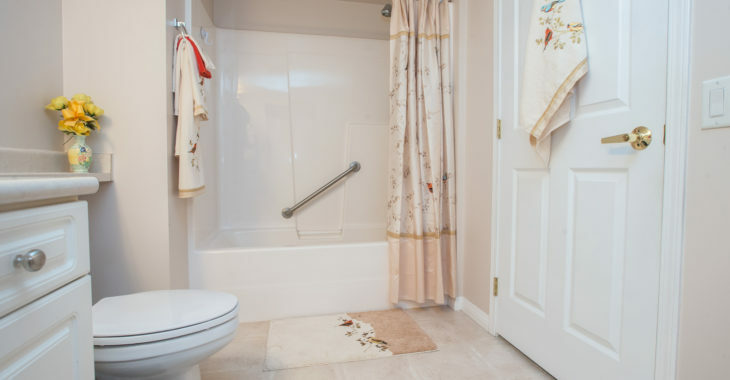 The main floor is dedicated to clients with dementia and each suite is equipped with a bathroom and wheelchair accessible shower. 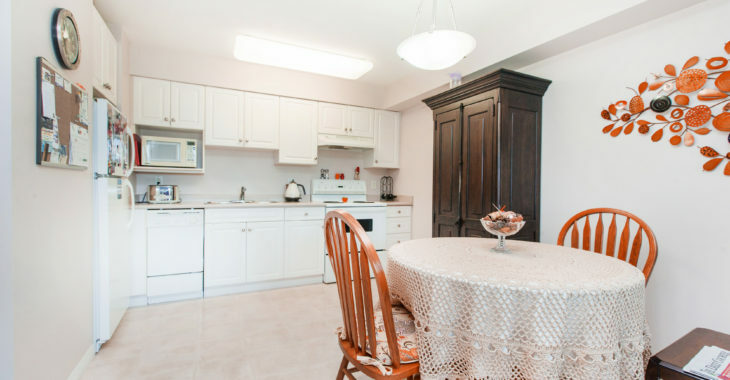 All suites are furnished with a bed, night table, dresser and side chair. Residents are also encouraged to bring some of their own belongings. 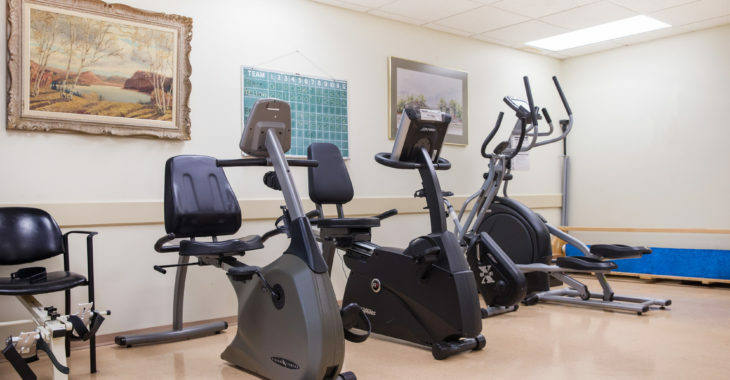 The residential program is intended for residents that can no longer be supported independently in the community and require 24 hour professional care. Admissions are coordinated through IHA 250-980-1400. 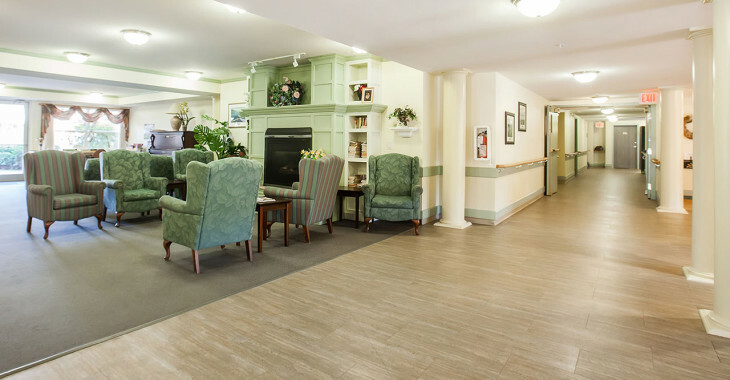 Good Samaritan Mountainview Village also offers 81 Life Lease apartments designed for independent seniors. 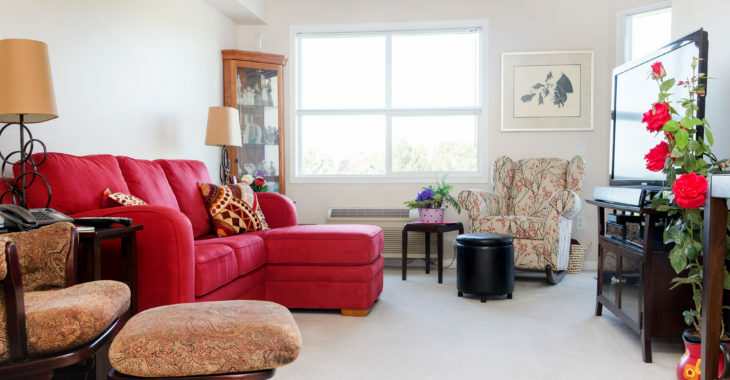 The Life Lease model offers residents a form of housing that provides guaranteed tenure, a hedge against inflation and all the of the security, comfort, freedom a person would expect to enjoy in their retirement years, all at a reasonable cost. 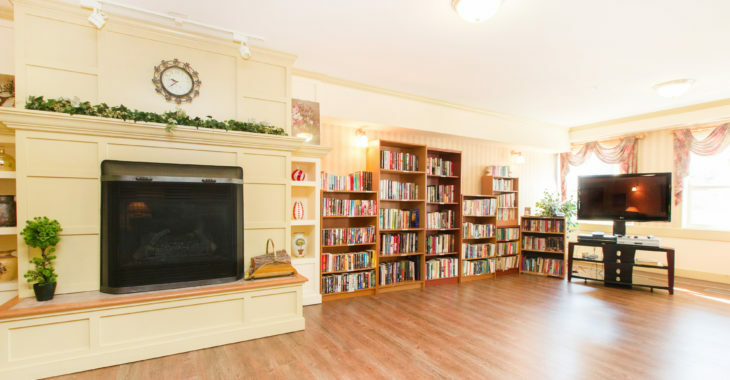 A variety of floor plans are available ranging in size from under 600 square feet to over 1500 square feet. 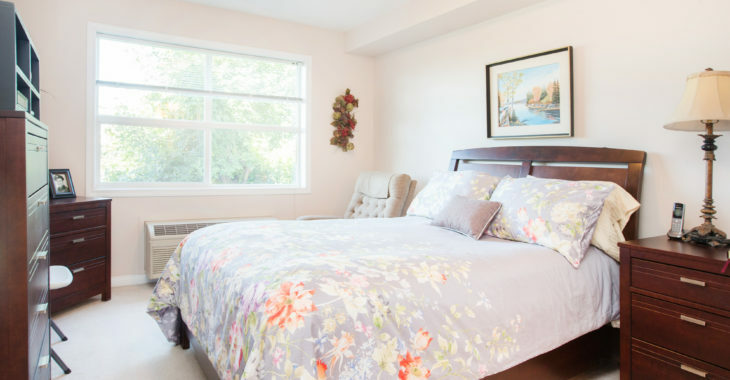 There are units with one or two bedrooms, one or two bathrooms, kitchen or kitchenette, depending on the size of the apartment. 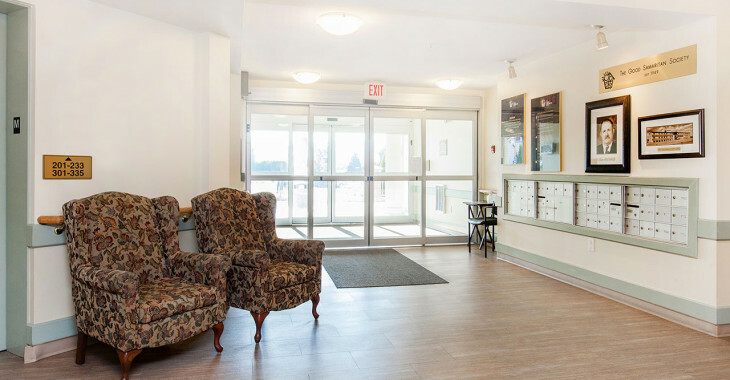 Meals, housekeeping, and laundry services are offered as options to all Life Lease tenants and every Life Lease apartment comes with an underground parking stall. 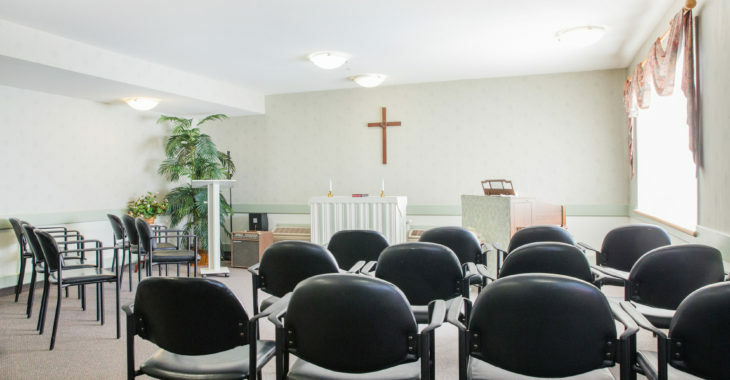 Life Lease apartments are available to individuals 55 years and over. For a convenient tour of our available Life Lease suites, please call Carolyn, Life Lease Coordinator at 250-469-6935. 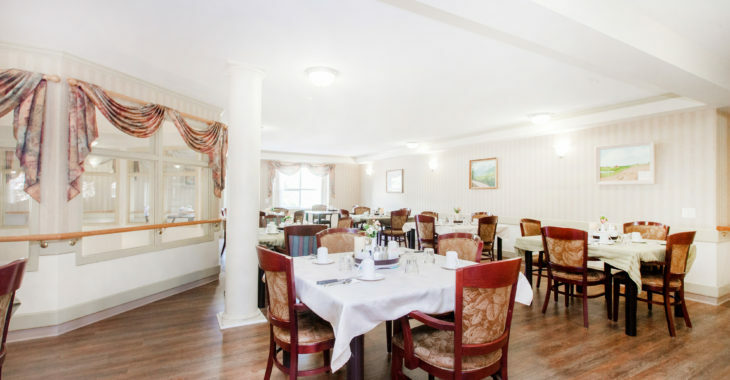 Additional amenities and common facilities include private dining room, chapel, guest suite, multi-purpose room, two dining rooms, two lounge/living rooms with fireplaces, kitchen, laundry, recreation room, hairdressing room, large main entrance lobby with secure entrance system, storage lockers, reception area, and large garden courtyard. Click here for more information about our Life Lease apartments at Mountainview Village.